someone who recently lit taco shells on fire and now no longer wants to deal with her oven situation? someone who has the best of holiday intentions but remembers them halfway through January? someone who typically uses baking soda instead of baking powder, or forgets the eggs? someone who is privately described as “frugal” or uses the word “economical” more than three times a day? No? Just me? Well, you’ve made it this far, so let me tell you my favorite holiday gift that doesn’t require an oven, is perfect for the procrastinators and is easy on the wallet. 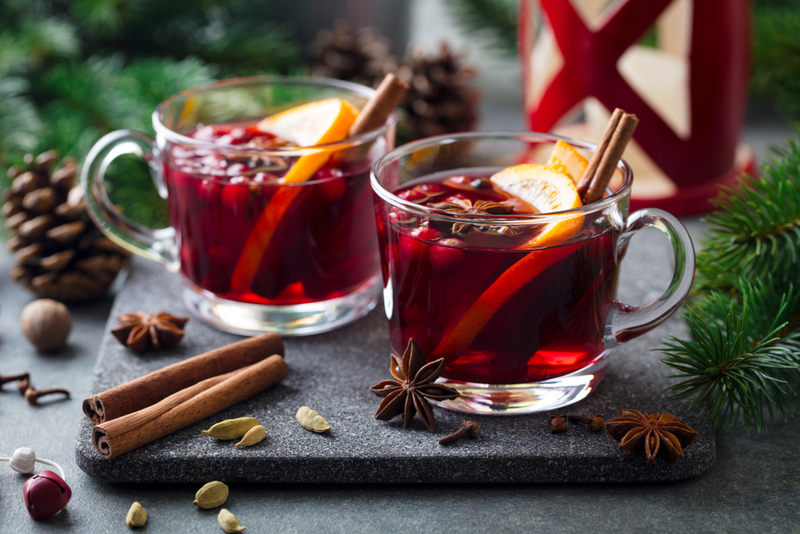 Let me introduce you to… Holiday Mulling Spices! A decade ago, my friend Brandi gifted me with a small, heavy holiday gift. I opened the bag to see a handwritten recipe card, an orange, a lemon and a handful of spices. There were cloves, a cinnamon stick, a few bay leafs; I was confused. What’s a bay leaf? I followed her instructions and peeled the fruit, emptied the rest of the contents into a small pan with water and set it to simmer. To my surprise, that small gift gave me hours of a rich holiday aroma, filling my tiny apartment with a delicious holiday cheer. I’m now plugging it on the internet because, friend, it is an amazing gift idea. Since that initial gift, I have passed her recipe along in gift bags to friends, neighbors, family and teachers. I’m now plugging it on the internet because, friend, it is an amazing gift idea. It is creative, easy and fills a home with the aroma of Christmas. In our days of quick-burning candles and scented plug-ins, opt for this homemade slow simmer. Add all ingredients with two cups of water in a saucepan, refilling with more water when necessary. Simmer and enjoy a beautiful holiday aroma.